Breast cancer is the most common cancer and the leading cause of cancer deaths in women worldwide. 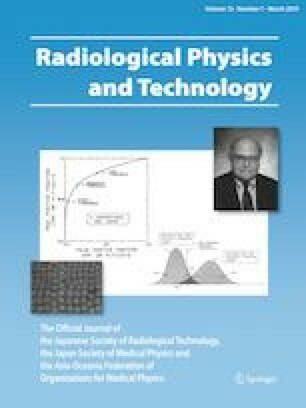 This study aimed to provide an automatic windowing method in mammograms, based on the principles of Otsu’s thresholding function, to help radiologists more easily detect abnormalities on mammograms. A total of 322 mammographic images from the Mammographic Image Analysis Society (MIAS) database were used in the present study. The image background was removed based on Otsu’s method. After selecting the threshold in the computer-aided windowing (CAW) system, the pixel values were kept larger than the threshold and displayed on a grayscale. A radiologist evaluated images randomly before and after CAW. Using CAW, the radiologist correctly diagnosed all healthy images (207 images). A total of 115 mammograms were evaluated to differentiate malignancy from benign masses. All 63 benign images were accurately diagnosed after using CAW. Moreover, of 52 malignant images, all were accurately recognized as malignant except one, which was recognized as benign. Therefore, specificity and sensitivity were significantly improved to 98% and 99.6%, respectively, and the area under the receiver operating characteristic (ROC) curve was calculated to be 0.99. The study showed that the use of CAW can potentially lead to quicker image assessment and improve the diagnostic accuracy of radiologists in differentiating between benign and malignant masses on mammograms. This research was supported by grants from Rafsanjan University of Medical Sciences. We give special thanks to Dr M. Ebad Zadeh as the scientific advisor of the current study and S. Skies for editing this manuscript. This article does not contain any studies with human participants or animals performed by any of the authors. This article does not contain patient data.